2 cups chickpea,soaked and boiled till soft. Heat oil in a pan and keep flame low. Then add mustard,cumin,and fennel. Saute till the seeds stop spluttering. Fry the onions till soft and add chickpea. 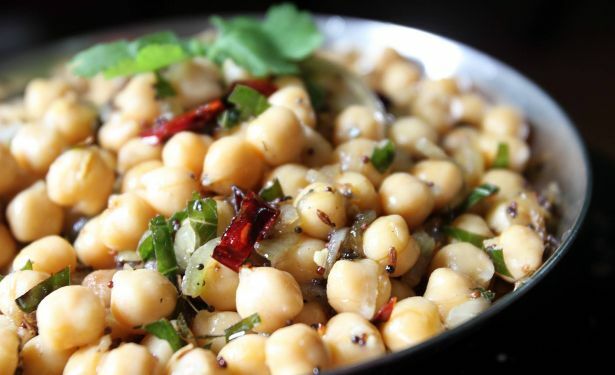 Taste for salt and coat the chickpeas with the spices. Mix well.